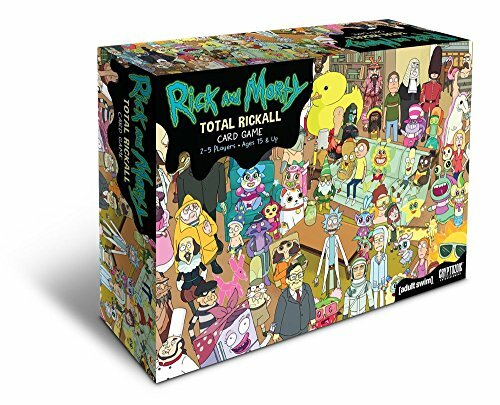 The Total Rickall Cooperative Card Game is based on the Rick and Morty episode of the same name. If you haven't seen it, don't worry. You can still play this wild and wacky game and have plenty of fun. But you really should see it at some point. Seriously. Don't be a Jerry. 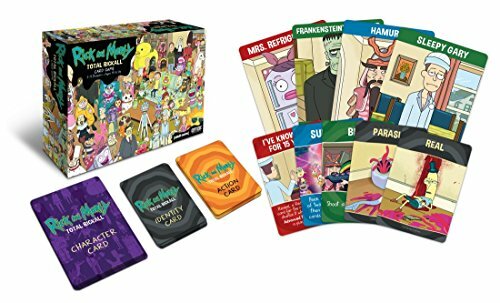 Rick has locked the family inside their house. Why? Because the family has grown. Parasites masquerading as family and close friends have infiltrated and have inserted pleasant memories into everyone's minds to make them think they're real. And more keep coming! 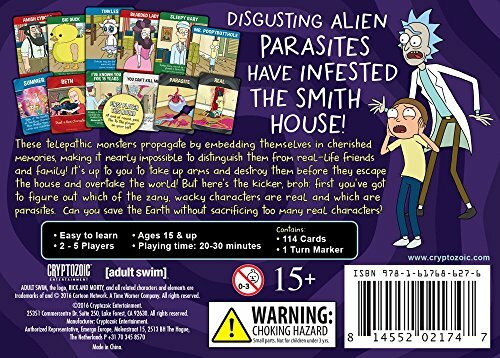 You must figure out which of these new, zany characters are real and which ones are parasites that need to be exterminated. Think you've got what it takes to save the world?.